possible they could sound as good as they do! Things were not overly-rosy in the camp of Paul Simon in the run-up to 1986’s Graceland. The album is Simon’s most-successful ever and has sold over sixteen-million copies worldwide. It is considered one of the finest albums of all time and it is definitely in my top-three records! Hearts and Bones (1983) did not fare that well commercially and, despite some positive reviews, there were many who doubted Simon’s genius and future potential. Not that Paul Simon needed to defend himself or please everyone. Hearts and Bones is a great album and features incredible songs like Rene and Georgette Magritte with Their Dog After the War. Simon’s partnership with Art Garfunkel was all but over and it seemed like he (Simon) was entering a rather difficult and unsure period. Recorded from 1985 to 1986, Graceland boasts a blend of emotions, genres and colours that saw Simon revitalised and inspired. Having become interested in bootleg cassettes of South African township artists, Simon was inspired and reborn. He travelled to Johannesburg where he spent a couple of weeks recording with South African musicians. The fact apartheid was raging when Simon was making Graceland meant he was taking risks and definitely turning heads. It was clear that the pre-Graceland period was fallow and Simon needed a spark to bring about revival and fresh guidance. With producer Roy Halee, this remarkable album was created alongside some of the best voices and musicians in South Africa. Even if there was harmony in the studio, there was some hostility and antipathy directed at Simon in the outside world. It was difficult for a musician to directly go against apartheid and hire South African musicians at a very tense and divided time. Recording at various locations – including Los Angeles and Louisiana -, Simon slowly began putting Graceland together. Whilst there was ample inspiration and motivation for a new album, the tracks themselves did not come together as speedily as some of his other work. One of the reasons I fell in love with Graceland was the Classic Album series that, alongside this record, spotlighted great releases and spoke to the people involved. To see Simon dissect his song and talk about his creative process made Graceland come alive in new ways. Little details regarding sonic touches – reversing guitar sounds, for example – and how the musicians interacted filled me with delight and curiosity. Graceland is my third-favourite album and I never get tired of hearing it. It is one of those albums you listen to in full and never skip a track. I feel you need to experience every track to get a full impression of Paul Simon’s vision and motivation. Iconic artists like The Everly Brothers and Linda Ronstadt helped add new light and flavours to the album. 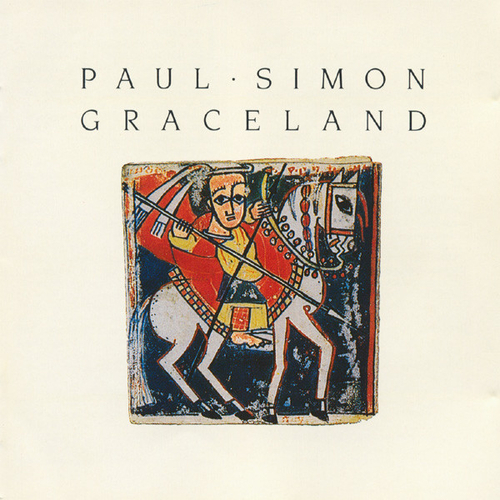 Even though Graceland is a Paul Simon album, it seems more collaborative than a lot of what he put out before. Los Lobos played on All Around the World or The Myth of Fingerprints whereas Ladysmith Black Mambazo featured heavily – especially notable on Diamonds on the Soles of Her Shoes and Homeless. You listen to Graceland and there is no sense of tension and struggle. That was very different compared with what was happening outside of the studio when Simon was recording in South Africa. Simon and his players would record until the evening but not walk the streets through fear of arrest or attack. Simon paid the musicians fairly and treated them with great respect even though politicians and others in South Africa were keen to divide and alienate. It was a very tense time that, in some ways, makes the music of Graceland as much a historical statement and landmark as a simple record! The sheer variety of sounds on Graceland is staggering. Pop, Rock and South African grooves all interplay and unite seamlessly. Think of albums released in 1986 and how many can you compare to Graceland in terms of sounds and scope?! Not only did Paul Simon help break down racial barriers in South Africa and raise awareness of apartheid but, musically, opened up a new world of possibilities. There had been crossover albums like Graceland prior to Paul Simon’s statement but very few released by artists as huge and acclaimed. Simon wanted an album that switched moods and felt more like a play. We have serious songs Graceland with tracks such as You Can Call Me Al. Humour and wit sits alongside topics such as divorce and personal strife. Paul Simon was not used to working with African rhythms and the way the instruments moved. It is very different to Western sounds and traditional instruments he was used to up until that point. If the new horizon pushed his songwriting forward, it was a little tricky for Simon to acclimatise and adapt. Simon admitted he was bad at writing politics and was not used to it. There are very few overtly political statements on Graceland but, if the songs themselves are not protest statements, the circumstances around its recording and the musicians used marks Graceland out as a political record. If Hearts and Bones was quite a tense or introspective record, Graceland sounds more buoyant and optimistic. A lot of artists would write an album like Graceland, aiming for it to be positive, and the language would be quite simple. The wordplay, images and expressions on the songs is amazing. I feel Graceland is Paul Simon at his sharpest, most poetic and rich. You are transported into these songs and walk alongside Simon. The music is dizzying and fantastically alive; the performances are so compelling and every song has its own identity – even though everything hangs together and sounds perfect alongside one another. Some songs were quite quick to put together but, due to the complex language Simon was using, some tracks took longer to gel. Simon maintained he was bad at political subjects in music but The Boy in the Bubble talks about terrorism whereas Homeless looks at poverty within the black majority of South Africa. Graceland was and is a bridge between races and cultures and, as such, transcends music itself. Artists such as Regina Spektor and Lorde have been inspired by Graceland and one can hear a lot of similar tones in the work of Vampire Weekend. Simon recalls the Graceland period as one of the most important of his life: the friendships he made and performing on the stage with South African musicians. As eclectic as any record Simon had made, it also delved into zydeco and conjunto-flavored rock & roll while marking a surprising new lyrical approach (presaged on some songs on Hearts and Bones); for the most part, Simon abandoned a linear, narrative approach to his words, instead drawing highly poetic ("Diamonds on the Soles of Her Shoes"), abstract ("The Boy in the Bubble"), and satiric ("I Know What I Know") portraits of modern life, often charged by striking images and turns of phrase torn from the headlines or overheard in contemporary speech. An enormously successful record, Graceland became the standard against which subsequent musical experiments by major artists were measured”. This set also comes with a DVD of the concert Simon and these musicians played with South African exiles Hugh Masekela and Miriam Makeba in Harare, Zimbabwe, in 1987, and the joy visible on stage and in the audience certainly speaks to that. It's easy to overstate what Graceland was. It wasn't the first world-music album, as some critics claim. But it was unique in its total, and totally natural, synthesis of musical strains that turned out to be not nearly as different from each other as its listeners might have expected, and the result resonated strongly around the world and across generations”. Going to perform, I mean you could go to perform with South African musicians and if the audience were integrated I think that would have been fine, but that was not the case. Going to record is not the same thing. And it was never specifically declared to be something that shouldn’t be done. One cannot ignore the turbulence in South Africa in the mid-1980s and how risky it was for Paul Simon to do what he did with Graceland. Despite the problems and tensions, the way Graceland broke walls and progressed conversation outweighs everything. Nearly thirty-three years after its release, Graceland continues to compel and act as this bold and fascinating point in musical history. “This distinction is important, perhaps more so to Simon’s legacy and the lives of his collaborators than the record itself. Simon toured with South African musicians, something that not even a local had done. He brought their profound voices to the world, taking them out to far-flung countries and giving them the space to share their reality. Ladysmith Black Mambazo appeared with him on Saturday Night Live when they were completely unknown to much of America. While Simon started out seeking “the ecstasy of Africa,” parading as a celebrity seemingly unaffected by the political reality of the boycott, he left bound by and entangled in a brutal reality he never foresaw, tied inextricably to musicians who lived to tell the tale of Apartheid. Though he might never have intended to, Simon carved a bridge between two cultures that don’t speak the same musical languages, yet are capable of speaking surprisingly similar political languages. Music never entirely exists outside of political realities, but luckily politics doesn’t exist in a world outside the influence of music either. Making Graceland was never as simple as Simon’s supposed pure artistic connection, nor was it as exclusively troublesome as others made it out to be. Though the decisions involved in producing the album are still worth analyzing, Graceland cross-pollinated beautiful music and artistic progression over troubled, choppy waters. Most importantly, the connection ceased to belong just to Simon — it became the world’s, linking together the oppressed, the politicians, the critics, the activists, and listeners. Music offers that powerful uniting force, particularly in times of struggle, giving the opportunity for each and every person who listens to build their own bridge rather than watch as the undercurrents of political and social upheaval wash life away”. The first time I ever heard Graceland was in the halls at uni when I did my study abroad from New York and went to Middlesex University in Tottenham, London. A friend gave me a copy right before I left and I got little speakers at Argos and would blast my CD Walkman in my dorm. It instantly opened my mind – it sounded like nothing I'd heard before – the layers of hand-drumming and cool percussion and his voice made for a very specific world. It made me think of islands. It had this built-in joy and bounce. I really loved it. I first heard Graceland when I was 15 years old. I was on a school trip and one of my friends had it on their CD player and I borrowed it off him for the whole trip and listened to it the whole time. It kind of blew me away. Before that point in my life I hadn't listened to much music apart from pretty normal guitar music, and there were so many different influences that Graceland had – I hadn't experienced the wild musical style on that album before. With Bombay Bicycle Club we do something different like [Paul Simon] did with Graceland; we have a lot of very different influences, especially on the last album, with Afrobeat in the rhythm and [the style of] guitar-playing that's on Graceland the whole way through”.